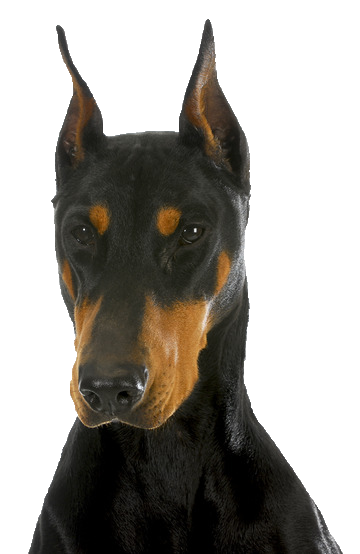 Your Doberman’s fierce loyalty, protectiveness, and intelligence results in owning a fun and confident dog. Investing time and energy in its training and socialisation is the key to raising a polite, well mannered personality. He generally trusts anyone you do and is happily to accept affection and attention once he feels comfortable. He is a highly athletic and clever dog requires both a consistent exercise routine and mental stimulation and challenges to help him focus and become a well balanced dog. You can find a great range of leads and collars to ensure he gets the right fit to benefit his active lifestyle and look great in the process.